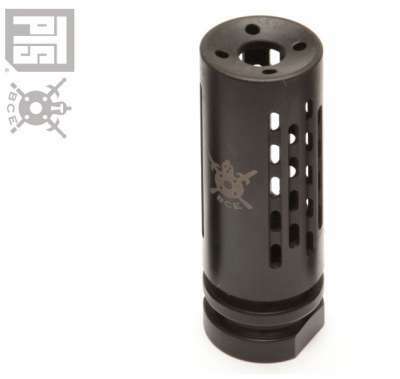 PTS Battle Comp BABC Flash Hider - CW. 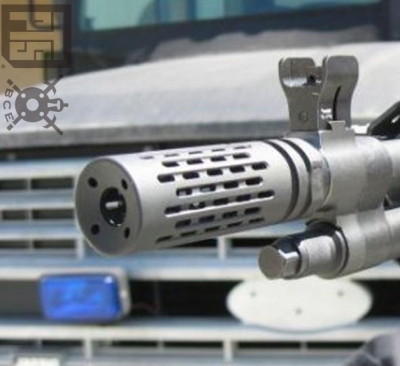 PTS BattleComp muzzle devices are the highest quality and most accurate Battlecomp replicas on the market. They are made from heat treated steel alloy bar stock with a scratch and blemish resistant black oxide finish. A crush washer and shim kit are included to ensure proper alignment of the muzzle device onto your airsoft rifle. 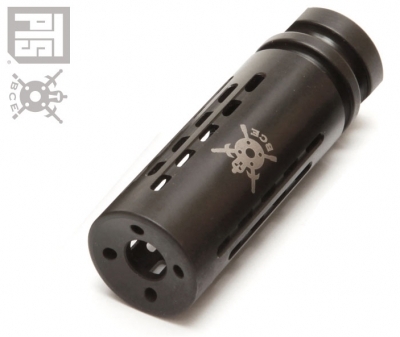 This airsoft product is manufactured under authorized Battlecomp license. Battlecomp logo and brand names are trademarks of Battle Comp Enterprises, LLC in the United States and/or other countries.